Hardcover, 9.75 x 9 in. / 128 pgs / illustrated throughout. 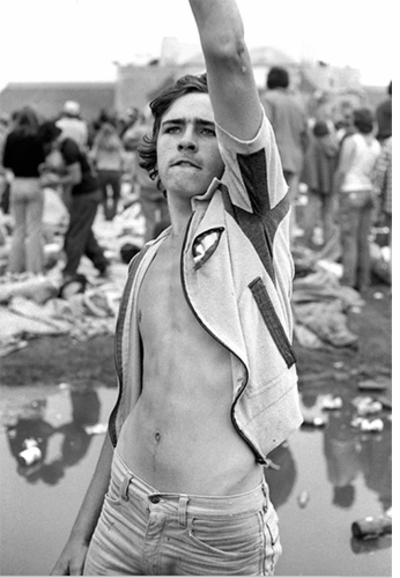 Joseph Szabo (born 1944) has been called the "quintessential photographer of the teenager." 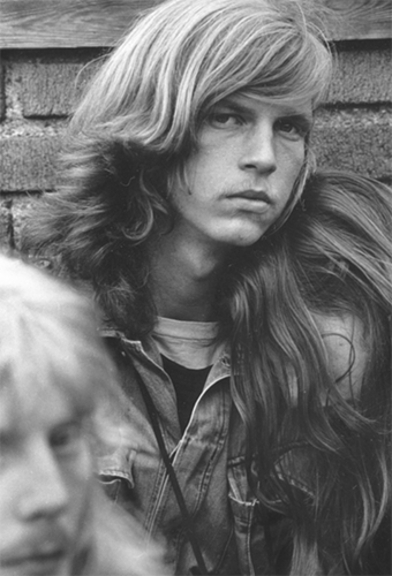 He is best known for his photographs of adolescents taken in and around the halls of Malverne High School in Long Island, where he taught photography from 1972 to 1999, which were published in the photobook classic Teenage (Greybull, 2003). Turning his camera on his students to get their attention, Szabo captured the anxiety and bravado of the American teenager in classic documentary style black-and-white photographs that quickly attained cult status in the fashion world. In Szabo's own words, his images capture "the years of restless desire and blossoming sexuality. The world of high school, parking lots and street corners, and the uniquely American culture in which all of us have grown up." 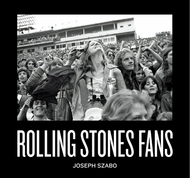 Featured image is reproduced from Joseph Szabo: Rolling Stones Fans. Szabo presents the stadium as a microcosm of late-70s youth; conflicting attitudes, sexual awakenings, freedom and fear, laid bare for all to see. We observe exhibitionists performing to mini audiences; pockets of friends reveling in the euphoria and mayhem of rock; sultry figures loitering in picturesque postures; couples lounging in carefree embraces. There is an energy to the collection, and a soundtrack – rock and roll is a prominent motif. Rolling Stones Fans is where an eternally iconic and intangible mood, movement and music are united, all at once, in a tangible form. 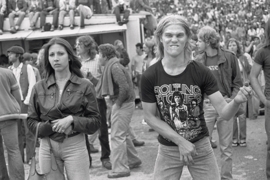 His photos capture joy, happiness, euphoria and youth while providing an insight into what it was like to be a young Stones fan in a carefree environment. Like his subjects, the photographer was totally in the moment, and the energy and empathy he brings to it makes his images vibrate. Wednesday, July 8, photographer Joseph Szabo will appear in conversation with noted photography critic Vince Aletti, presenting an exclusive look at Szabo's new collection, Rolling Stones Fans, which documents in detail concertgoers from a 1978 Rolling Stones concert at JFK Stadium in Philadelphia. 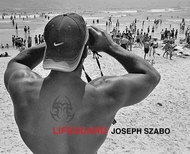 Szabo is best-known for his compelling photographs of Long Island adolescents, collected in the 2003 out-of-print classic, Teenage. Join us at 7PM at the Strand! FORMAT: Hbk, 9.75 x 9 in. / 128 pgs / illustrated throughout.